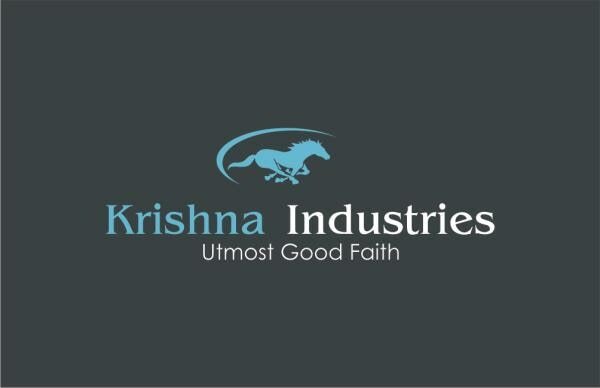 Krishna Industries is a highly acclaimed name among manufacturers , suppliers & exporter of high end Milking Machines , Cow Milking Machines , Soya Milk Making Machines, Soyabean Milk Plant ,Soya Milk Plant , Soybean Milk Plant Paneer Making Machine, Tofu Making Machine, Soya Paneer Making Machine , Full Fat Soya Grits , Jem Quick Tofu , Vaccum Packaging Machines , Milking Machines , Milk Pouch Sealing Machine & All Kind of Packaging Machines. Our products are known for their superior performance, easy operation, latest features, functions and compact designs. Ever since inception, we have always created track records of success and good growth rate. Today Krishna Industries sells its products under the name “KI”, which has become a highly recognized among its customers and this is result of our quality products, consistent and timely deliveries, customization, competitive prices and excellent after sales service. The core competency of the company is in developing and producing customized machines and tools for flexible packaging applications. We believe in high degree of flexibility in project handling, innovative designs and customization. According to our philosophy, top performance can only be provided with continual further development of all operations. As a result, we regularly invest in new technologies and training of our employees. We provide training service for making high and better quality soya milk , soya paneer , soya curd , flavoured curd without any beany flavour. According to our process of making soya paneer one will not get any kind of beany flavour. We provide services at very economical prices. Network Areas Indian States: Uttarakhand, Kerala, Assam, Goa, West-Bengal, Gujarat, Tripura, Jammu-and-Kashmir, Orissa, Karnataka, Andhra-Pradesh, Bihar, Jharkhand, Madhya-Pradesh, Sikkim, Meghalaya, Arunachal-Pradesh, Haryana, Manipur, Uttar-Pradesh, Punjab, Maharashtra, Tamil-Nadu, Chhattisgarh, Nagaland, Rajasthan, Mizoram, etc. Indian Cities: Varanasi, Madurai, Faridabad, Visakhapatnam, Jaipur, Hyderabad, Bangalore, Kanpur, Kolkata, Vapi, Rajkot, Secunderabad, Goa, Mangalore, Jamnagar, Ranchi, Indore, Gurgaon, Jamshedpur, Pune, Bhopal, Nagpur, Morena Trivandrum, Delhi, Raipur ,Lucknow, Chandigarh, Ludhiana, Surat, Patna, Ambala, Vadodara, Mumbai, Anand, Allahabad, Coimbatore, Thane, Nasik, Bhubaneswar, Panipat, Agra, Bhadohi, Ahmedabad, Saharanpur, Haridwar, Dheradhun , Merrut , Erode, Aurngabad , Amritsar, Kochi, Rudrapur , Bhubaneswar, Kolhapur , Sangli , Raigarh etc. Manufacturer of Milking Machines Supppliers Of Cow Milking Machines Manufacturer Of Soya Milk Making Machine Supplier Of Soya Milk Making Machine Manufacturer Of Soyabean Milk Plant Manufacturer Of Soybean Milk Plant Manufacturer of Soya Milk Making Machine In India, Supplier Of Soya Milk Machine Soya Milk Machine Manufacturer Manufacturer Of Soya Paneer Making Machine Soya Paneer Machine Manufacturer Manufacturer Of Soya Milk & Tofu Making Machine Supplier Of Soya Paneer Machine Manufacturer Of Tofu Making Machine Cow Milking Machine Manufacturer Manufacturer Of Milking Machine In India Supplier Of Milking Machine Importer Of Milking Machine, Trolley Milking Machine, Vaccum Type Milking Machine Vaccum Packaging Machine Manufacturer Supplier Of Vaccum Packaging Machine Pouch Filling Machine Manufacturer, Soybean Supplier,American Soybean, USA Soyabean. SoyaMilk Making Machine , Soyabean Milk Plant , Soya Milk Plant , Soya Milk Extractor , Soya Milk Machine , Soya Paneer Making Machine , Tofu Making Machine , Soyabean Paneer Machine , Soya Milk Plant , Milking Machine , Trolley Milking Machine , Portable Milking Machine , Mobile Milking Machine , Cow Milking Machine , Buffalo Milking Machine , Vaccum Packaging Machine , Milk Pouch Sealing Machine , Paneer Vaccum Packaging Machine , Tofu Vaccum Packaging Machine.